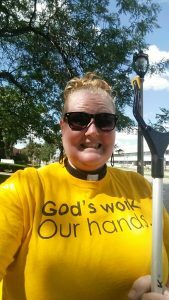 Pastor Alexis Twito is a born-and-raised Milwaukeean. All of her studies, in the USA and abroad, led her to have a deep love for God’s big, sometimes messy, but awe some world. to care for all, work for peace and justice, and ensure that all experience God’s grace, mercy and love. , she is Coordinator of the Milwaukee Police Chaplaincy program through the Salvation Army. And when she’s not doing that, she’s spending time with her nieces and nephews, enjoying a good beer, reading, or hanging out along the lakefront.